Here we are…the whole family. Each of us have our own personality, but we’re all the life of the party. 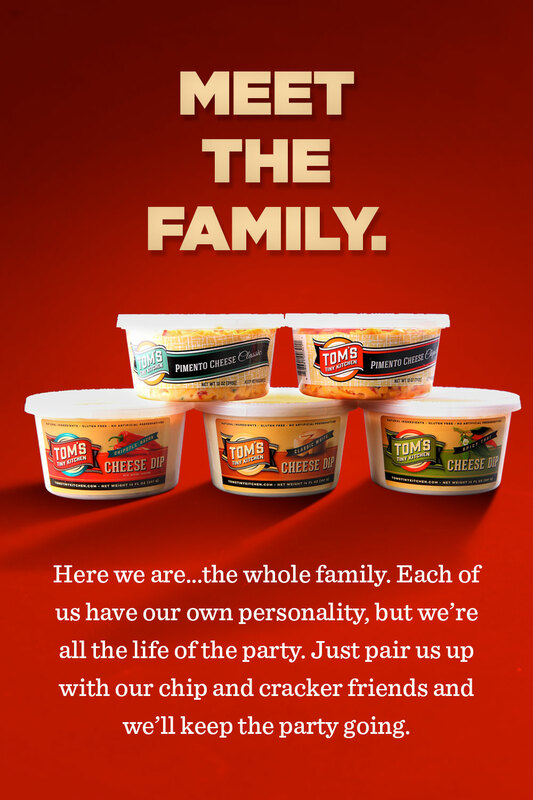 Just pair us up with our chip and cracker friends and we’ll keep the party going. No one forgets their first and we are very sentimental for the “classic”. 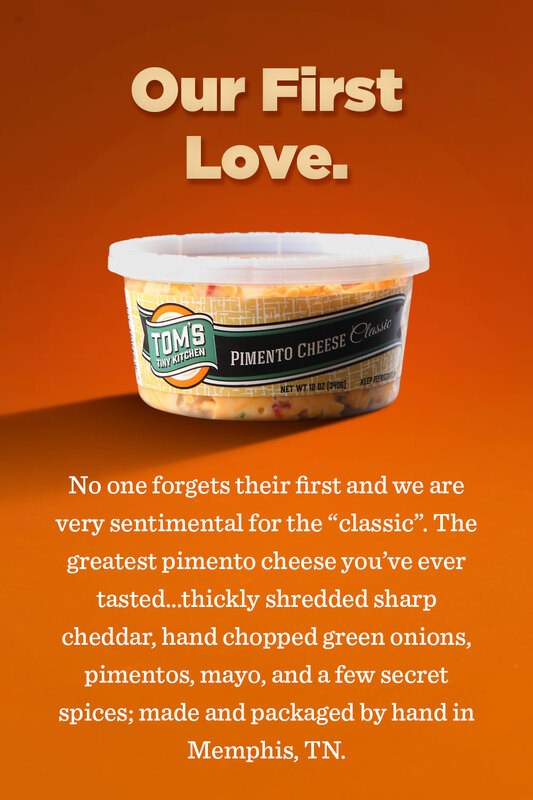 The greatest pimento cheese you’ve ever tasted…thickly shredded sharp cheddar, hand chopped green onions, pimentos, mayo, and a few secret spices; made and packaged by hand in Memphis, TN. 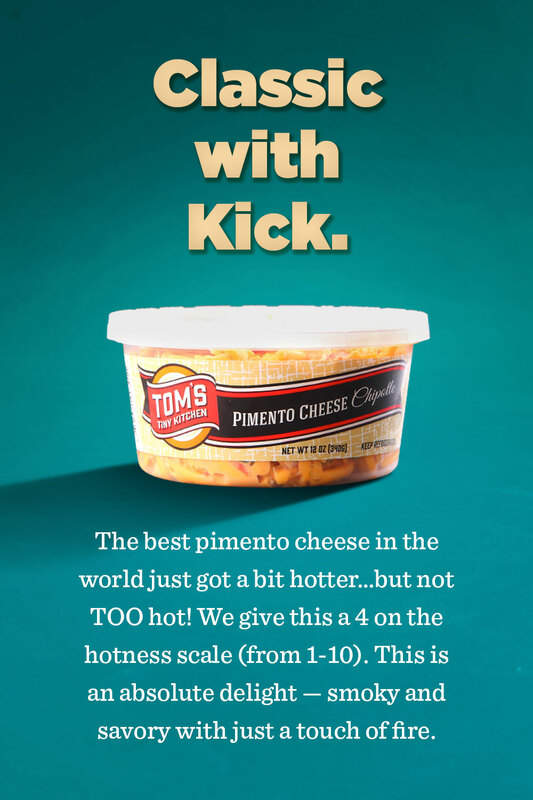 The best pimento cheese in the world just got a bit hotter…but not TOO hot! We give this a 4 on the hotness scale (from 1-10). 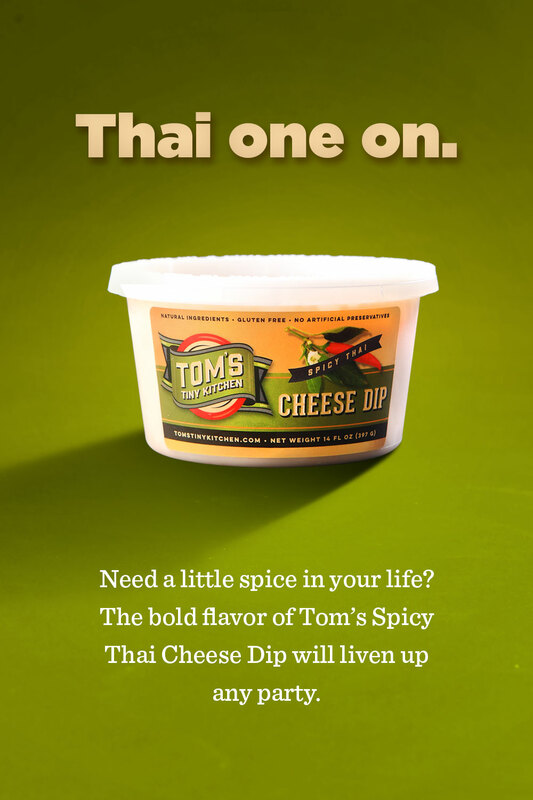 This is an absolute delight — smoky and savory with just a touch of fire. 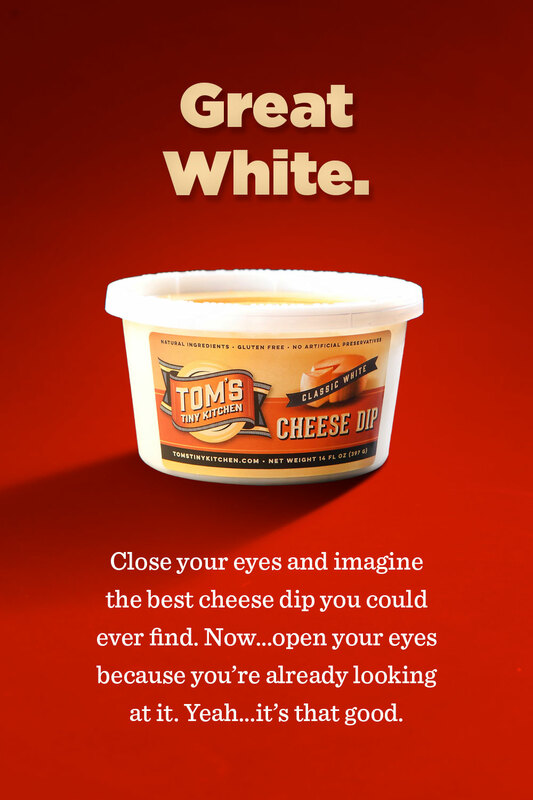 Close your eyes and imagine the best cheese dip you could ever find. Now…open your eyes because you’re already looking at it. 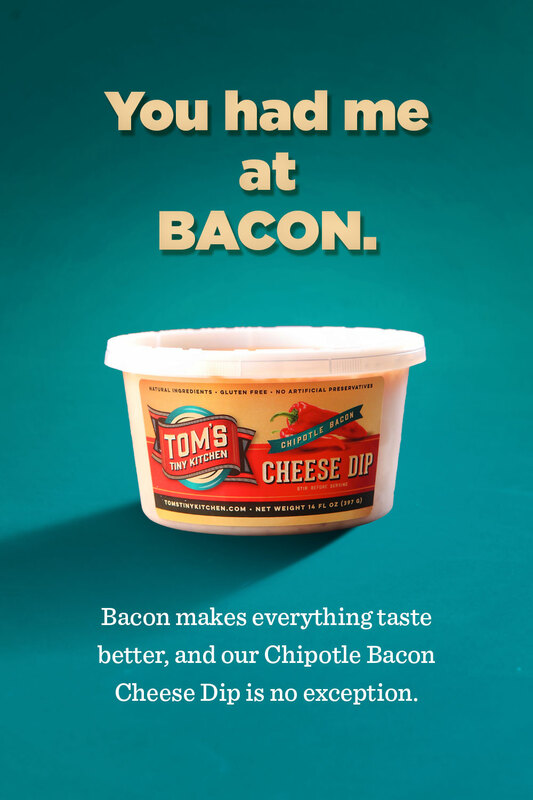 Yeah…it’s that good.